The Fed Cup World Group matches for a place in the semifinals were played this past weekend between Germany and Belarus, the US and Netherlands, Switzerland and the Czech Republic, and France and Belgium. Petra Kvitova helped the Czech Republic overcome Switzerland. Petra Kvitova more than made up for the absence of Karolina Pliskova’s and followed up her title-winning performance at the St. Petersburg Open in Russia, earlier this month, with a 6-2, 6-4 win against Belinda Bencic of Switzerland in the reverse single Fed Cup tie. Petra Kvitova dominated with her big groundies and applied relentless pressure on Bencic. Petra had also won her singles match on Saturday. The Czech Republic moves on to the semifinals to be hosted by the Germans in April this year. Germany upsets, the 2017 Fed Cup finalist, Belarus. Germany upset, the 2017 Fed Cup Finalist, Belarus 3-2 in the Fed Cup draw on Sunday. The two had split the Fed Cup singles on Saturday with Antonia Lottner, of Germany, upsetting a higher ranked Aliaksandra Sasnovich 7-5, 6-4, and Aryna Sabalenka overcoming Tatjana Maria 4-6, 6-1, 6-2. On Sunday, Tatjana Maria won her reverse single by defeating Vera Lapko 6-4, 5-7, 6-0 and Aryna Sablenka then tied the match with a 6-3, 5-7, 6-2 victory over Antonia Lottner of Germany. The deciding doubles rubber, between the pairs of Sabalenka and Lidziya Marozava of Belarus, and Tatjana Maria and Anna-Lena Groenefeld of Germany, was won by the Germans aided by 69 unforced errors from the Belarusians. Venus Williams can still make a difference for the US. 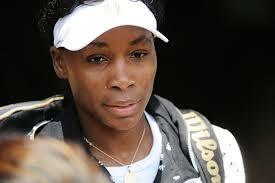 Venus Williams was the star of the US brigade in its Fed Cup outing against the Netherlands this past weekend. Venus won her reverse single 7-5, 6-1 against Richel Hogenkamp on Sunday. Serena Williams’s return was less spectacular in her loss to the doubles pair of Lesley Kerkhove and Demi Schuurs of the Netherlands. Serena had partnered with Venus Williams, her big sister, for that match. The US, however, had a solid 2-0 lead prior to that doubles match. Earlier on Saturday, Venus Williams had defeated Arantxa Rus 6-1, 6-4 and CoCo Vandeweghe had rallied 4-6, 7-6 (6), 6-3, from a set and break down, to get the better of Hogenkamp. Kristina Mladenovic leads the French contingent to victory. While Venus lifted the US contingent, Kristina Mladenovic won both her singles and then teamed up with Amandine Hesse to win the deciding doubles 6-4, 2-6, 6-2 against Elise Mertens and Kirsten Flipkens. France, as their reward, will play the United States in April. Will Yannick Noah be able to get his team past the strong US side? ← Tennis: Goffin’s, Kyrgios’, Zverev’s, Thiem’s, and Shapovalov’s slam prospects revealed.